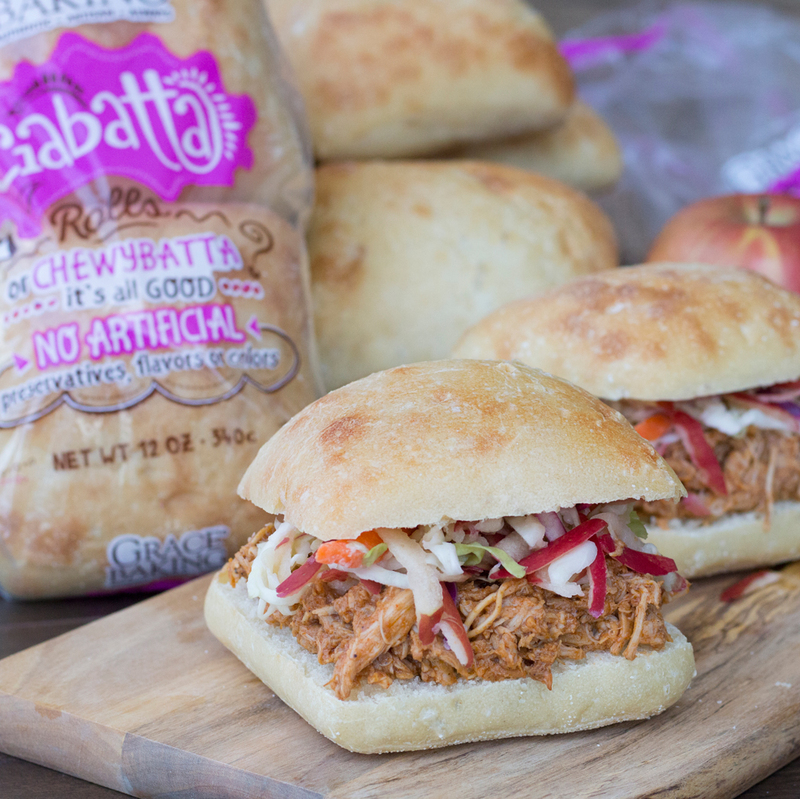 To appreciate really good pulled pork sliders you need a really good appetite, a generous quantity of pulled pork, fresh apple slaw, and of course only our Ciabatta Rolls will do. The result: a hefty, hearty, stacked-highfor-good-measure pulled pork slider that’ll leave you stuffed, but curiously wanting more. Delicious can have that effect on people, especially when our White Ciabatta Rolls are involved. In a slow cooker, combine pork tenderloin, barbecue sauce, onion, brown sugar, salt, pepper and chili powder. Cover and cook on high for 4 hours or until tender. Shred the pork with a fork, set the cooker to low and cover until time to serve. Make the apple slaw. In a mixing bowl, combine cabbage, apple, red cabbage and carrot. In another bowl, mix together yogurt, brown sugar and lemon juice. Pour dressing over slaw and gently mix until well combined. Layer pork and coleslaw on ciabatta roll bottoms. Top each with extra barbecue sauce, to taste, and ciabatta roll lids.